New cuisines, new suburbs and more ambition. Cafes in Sydney aren’t what they used to be. Fine dining is no longer restricted to dinner and degustations. Breakfast in Sydney is now just as complex and creative. Here are our favourites of the year so far. If you’ve never been to Rhodes before, now you have a reason to go. Ashley Patfield is in the kitchen here, a man with experience at multiple award-winning restaurants, such as est., Guillaume, Wheelers St James and The Gilbert Scott. Left Field and another newcomer, Cavalier Specialty Coffee, are not in the business of serving typical cafe food. As Left Field’s co-owner Matthew Abi-Arrage says, they’re now daytime restaurants. The theatre here is incredible. 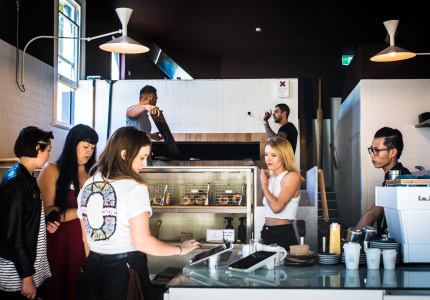 There’s a massive custom-built oven glowing with wood chips, a tattoo-sleeved dude wielding bagel dough like a master pizzaiolo, and bewitching smells from both the bakery and the coffee counter. 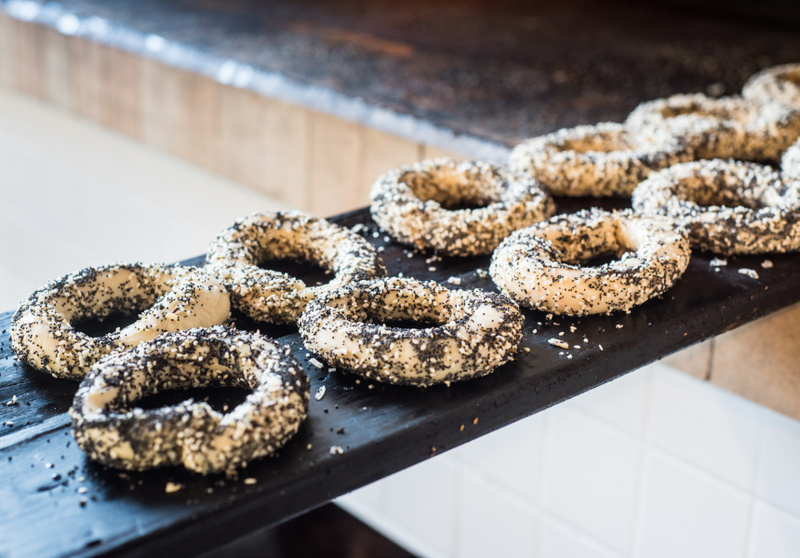 Here the bagels are as traditionally Montrealian as possible. But the toppings are far from it. Coffee comes from Sensory Lab and Toby Smith, a tribute to the building’s previous occupant, Toby’s Estate. 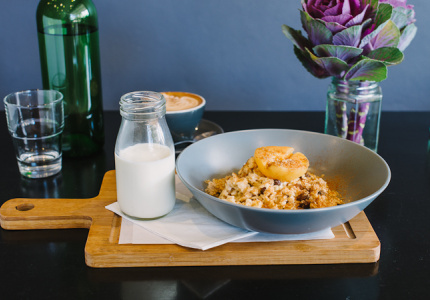 The brown-rice chicken congee with ginger, carrot and bacon jam served in a bespoke bowl from Magnolia Mountain and a Reuben Hills espresso is one of the best breakfast experiences in inner Sydney. 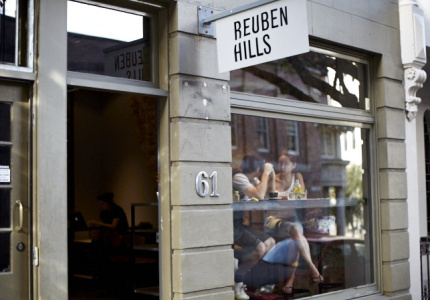 With Cross Eatery, Zeitgeist and now Reuben Hills and Paramount Coffee Project’s Hills Bros, these days the CBD is one of the best-served areas in Sydney. 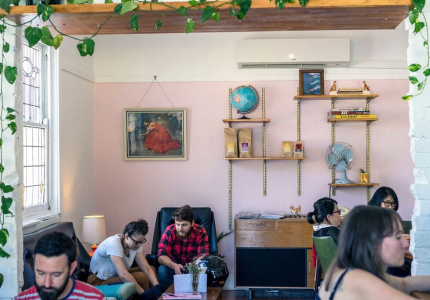 Is this Sydney’s cutest cafe? Ex-Two Chaps barista Graeme Alexander has defied current minimalist, industrial interior trends to create something more homey and Wes Anderson-esque. As with the expertly foraged furniture, the food here is all about character. The chefs, Alexander, his partner Jax, their barista and Jax’s 90-year-old German grandmother, keep things simple with classic cakes, cheesy toasties and hearty soups and salads. 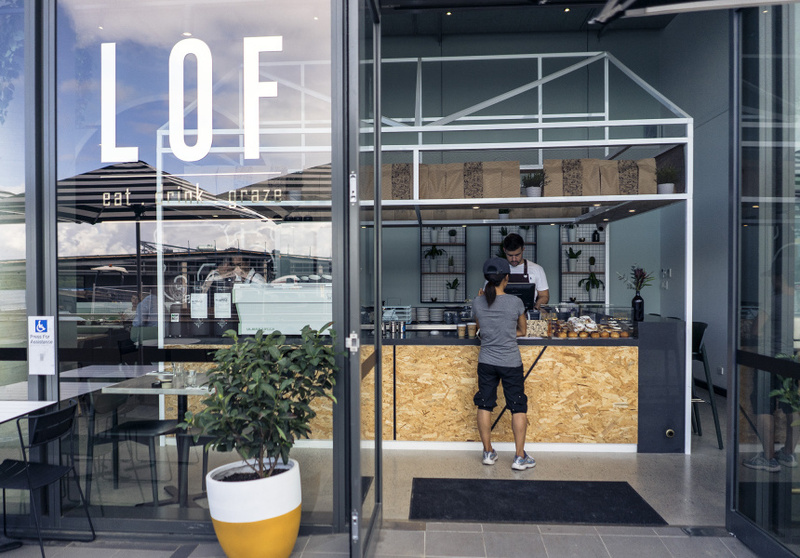 After only one week people were referring to Neighbourhood as one of the best coffee dealers in Sydney. 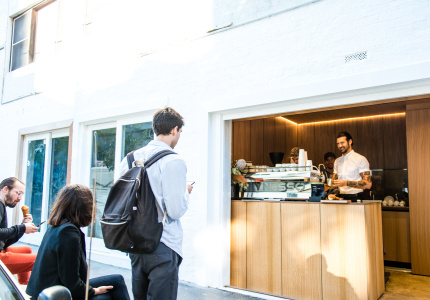 The tiny, coffee-only blip on Buckingham Street has as much consistency and expertise as you can reasonably ask for. Most of that is down to ex-Artificer man Sean McManus not only running the joint but being there every single day behind the espresso machine. 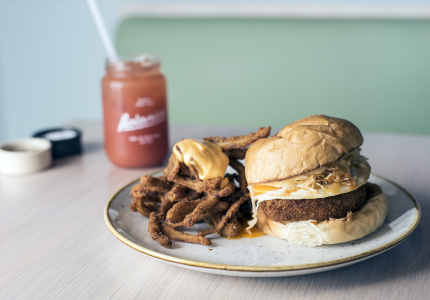 This could have also fit into our best restaurants list, but out of everything on the Rising Sun menu, it’s the breakfast that has us the most excited. Chef Nick Smith has imagined what a cafe would be like if it was representative of our geographic region. The answer: bento boxes; Thai bacon and eggs; kaya toast; breakfast ramen and speciality coffee from Single Origin. The onset of Asian influences on our cafe cuisine is one of the most exciting things to hit Sydney over the past few years. 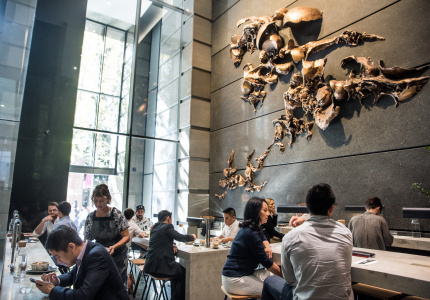 It’s exciting because the trend isn’t delivering pastiche representations of other cuisines, but rather new dishes and venue designs that merge what was already in Sydney with what’s popular in Malaysia, Thailand, Japan and Hong Kong. Café Rumah is one of its best exponents, with dishes like the kopitiam breakfast (buttery kaya toast with two soft onsen eggs) and drinks like the rose and milk soda. 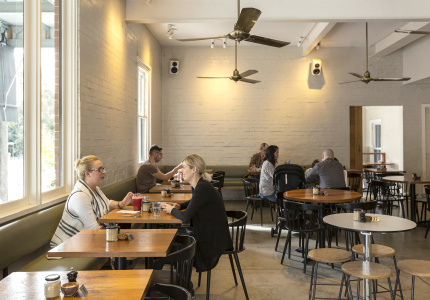 Henry Lee's is a cafe born out of collaboration. 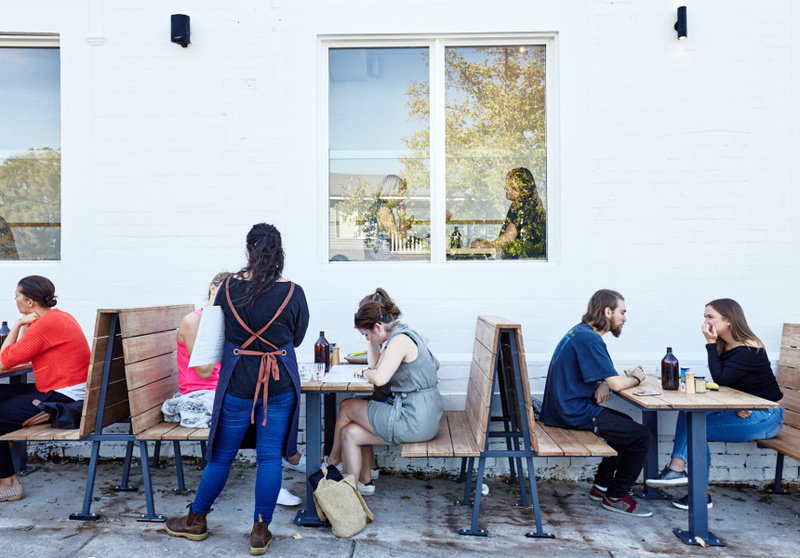 The porridge uses honey from local Urban Beehive; the bacon is from nearby LP’s Quality Meats; other meats are cured or braised in Poor Tom’s Gin or Grifter Brewing’s Watermelon Pilsner; and coffee comes from St Peters roaster Little Marionette. 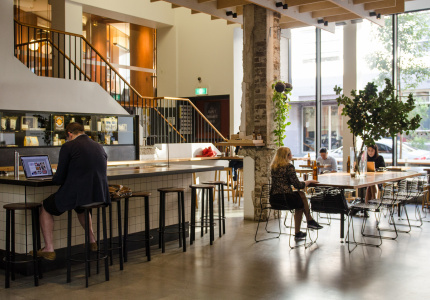 The cafe itself has a particularly industrial and minimalist look, and is situated in the new Eveleigh arts and culture precinct. Meet Gerard is by two hospitality stars. 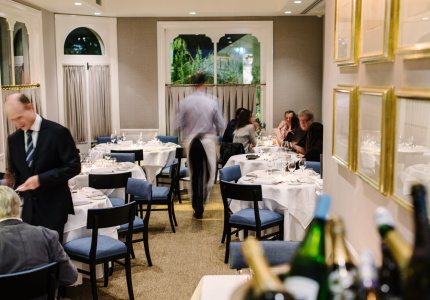 The duo is made up of Mariella Traina (ex-owner of The Counter) and Sarah McWilliam (ex- chef at West Juliett). There are a few more standard cafe dishes on the menu here (scrambled eggs, bacon-and-egg roll etc.) 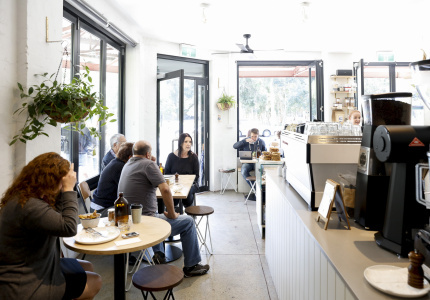 than at some of the other cafes on this list, but each has a distinct twist. The avo on toast, for example, is dressed with pickled chilli, feta, lime and yuzu sesame. 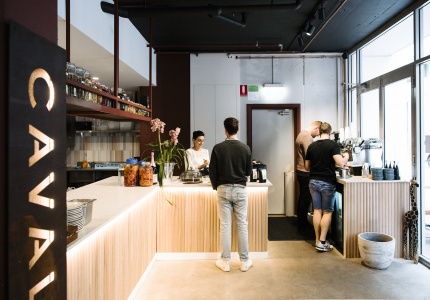 This miniature version of Marrickville vegetarian cafe Two Chaps is both an excellent eatery in its own right and a sign of something much bigger and better to come. 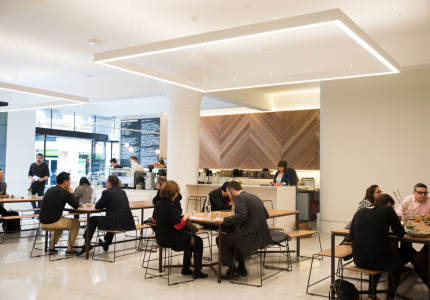 The cafe’s current iteration serves many of Two Chaps’ more portable options along with purple-corn tortillas, mushroom jaffles and a few specials. In the future it will be a 50–80-seat pasta bar. It’s more of a cake store than a cafe, but everything about its output is excellent.